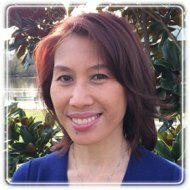 Slidell Therapist: Ilsa Araki - Therapist 70458. Send A Message To Ilsa. I have experience working with clients who present with a wide range of concerns including, but not limited to, depression, anxiety, difficult life transitions, physical/sexual abuse, and relationship concerns. I provide an environment of acceptance, warmth, and respect while offering a collaborative approach to therapy that helps guide individuals through a process of self-awareness, healing, and change. I have a Master’s degree in Professional Counseling, am a Licensed Professional Counselor with the Louisiana LPC Board of Examiners, and have a certification as a National Certified Counselor. In addition, I am trained in the use of EMDR Therapy and the Gottman Method. My theoretical orientation when working with clients is largely informed by the cognitive behavioral approach and supplemented with brief solutions-focused and client-centered theories of psychology from a Christian worldview. However, because each client is unique, I use a variety of techniques tailored to fit the specific needs of each individual. Counseling takes many different forms. In some cases it is aimed at helping clients gain new perspectives, new skills, and greater understanding. For others, it involves managing emotional pain and mental health issues. I am here to empower you to find solutions and support you in achieving your goals.